We feel that luxury and comfort is crucial when away from home and coping with a strenuous training program. 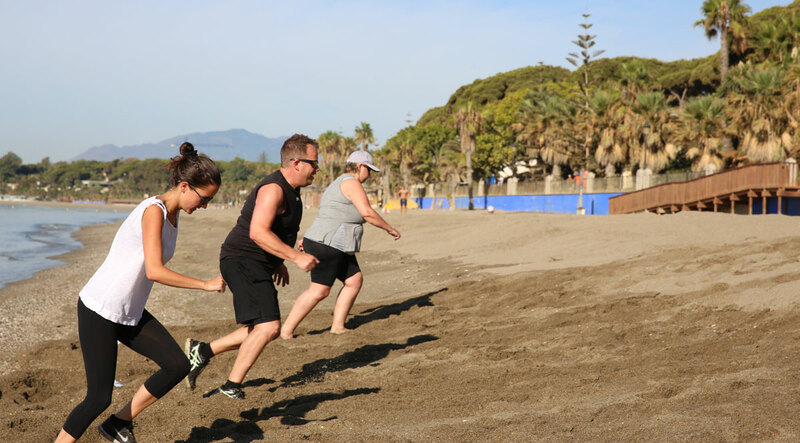 For this reason, we have chosen to base our boot camp experience from the comfort of a four star hotel located in the heart of Marbella, 200 meter from the beach. The hotel offers 4 star facilities such as a state of the art spa, indoor and outdoor swimming pools, gym, restaurants etc. All our clients are staying in a 4 star hotel in a room with a sea or mountain view and a balcony. The rooms are Southwest facing so you can enjoy the wonderfull Marbella Sunset.